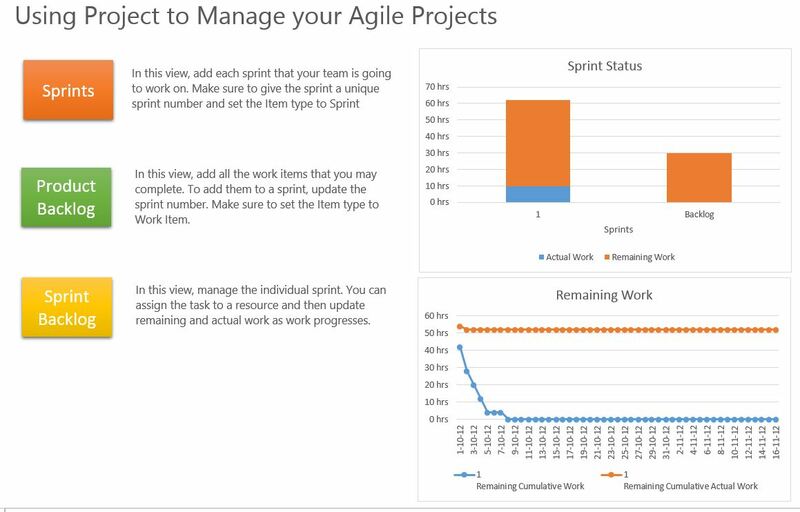 Created by Sensei Project Management (Microsoft partner of the year 2014, and authors of multiple books I reviewed). This is a sweet template that uses new 2013 features very nicely. As well as creating a great template to use when you are scheduling according to the PMBOK. The great feature that they use in the template is actually a reporting page, recreated to be a source of information about PMBOK best practices, including some links to websites and even a nifty description where MS Project comes into play when you are managing a project (The Project Management tap). The knowledge area’s page has all the 10 areas with clickable buttons that redirect you to a schedule part that is especially created for that area. Apart from a manually scheduled summary task on ID 55, 71 and 74 I could not find anything immediately wrong with the schedule. But hey, the focus is more on the reporting and text. Also, I have not read the PMBOK, so maybe there are some theoretical things I might be missing. Created by Microsoft. Also a new template that uses the 2013 features very nicely. The Agile scheduling method is different from the traditional waterfall schedule, and currently all the hype around the Project Management world. Here is the Wikipedia page if you want to read up. I have not had an opportunity to run a Agile project from start to finish with a client yet, so I hope people reading this blog can comment on the usefulness of this template when planning Agile. Created by Microsoft. A relatively simple project template, but good for a quick overview of dependencies, phases, resource utilization and over allocation (19, 21 and others). Too bad it has an empty row on ID103 and therefore 2 empty rows in the schedule. Remember, empty rows are not at all empty! There is data stored in the row, this holds true with the older versions of the tool more then with 2013, but I would still advise against it. Another nice Microsoft template that focusses on a specific functionality within Microsoft Project. Creating and using the Budget resources is something of an art form. With this template you will feel yourself becoming an artist! There are 5 neat chapters within the template, navigating back to the main page is done by clicking Report –> Recent –> Create a budget. The third chapter might need some extra explanation: We are missing the “Cost column”. With that column added to the view you can see what happens to the complete schedule when you are successfully implementing budgets and work and costs correctly. I found one mayor issue with the template, the “Watch this demo” video doesn’t work. I really wanted to check out how this would look, would a special window open within Project? Or would it just be a YouTube link? I bet it would be the last, I have not heard any functionality to open video files directly within MS Project (because that would just be silly). “Earned value management helps you quantify the performance of a project. It compares costs and schedules to a baseline to determine if the project is on track. Taking the last sentence very serious; I believe every project should have a baseline, costs and resources assigned… And without progress, why would we even start planning anything? So those are some of the gems I found in the “thousands of online templates”. When you search on the new page yourself, you might find another template that deserves a close look. Let me know about it in the comments and I might add it to this post. I am also very curious about what Agile project managers and Earned Value guru’s think about these templates. Please if you have an opinion on these templates share them with the other readers. Thank you so much for sticking around for this somewhat extensive post. Keep your eyes open (or subscribe to the blog) for more Project goodness! I just downloaded the new microsoft project 2013 and the templates do not work. What is the secret? Don’t work? Do you get any error message? 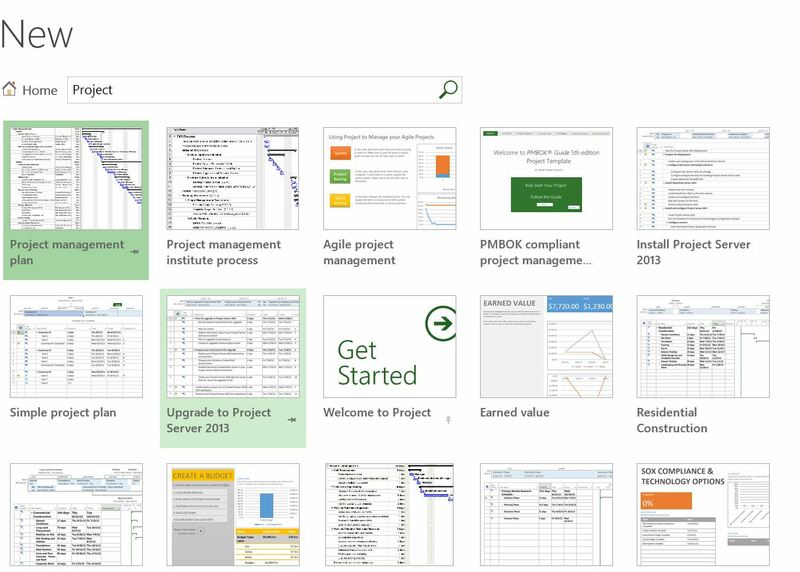 My Microsoft project 2013 couldn’t download template too. Error “Something went wrong while downloading your template. Did Microsoft stop this service? Hi Javen, a curious situation. Could you give me some more information? What template did you try to download, and are you using Project Professional or Standard (if you have the “team planner” view you have professional). I will dive into the matter and will get back to you. the same for me.. is there any solution? There is no known solution that I am aware off. I have added the templates to my OneDrive shared folder and you can grab them from that location but other than that I have no solution. I found 2 possible situations, eighter your Office 365 account (if you have one) is corrupted and needs to be fixed. Or you have no Internet Connection at the moment of download. Both aren’t very satisfing answers, I know. I too am having the exact same problem with the templates. Is there any difference between the templates that are available to Project ‘Standard’ and Project Professional editions? Hi Sarah, to my knowledge they are the same. This is because the templates are not native to the tool but to “Office.com” they can be downloaded for both standard and professional. The templates that I have discussed in the post do not have “Pro only” features enabled. How many Project Templates that MS Office Projects does support at the max? Hi Charan, thanks for reaching out! Templates are basically separate files stored on either the Project Server or a local storage (example: c:\MSProjectTemplates\). Therefore there is no limit save the limit of the disk space. I would advice taking a look at your business project processes and create a project template for each. So we can Create as many Templates as we need . Right ? That is correct, to my knowledge there is no limitation in the amount of MPT generated by a organisation. Only disk space would be an issue at some point. But keep in mind, having 100+ templates might be a bit too much if you only perform 20 projects per year :-). Hope this helps, and again, thank you for reaching out. Would love to hear how many Templates you end up with in the organization. Are there any hi-rise building. construction templates for Project that you recommend. It’s been a while since I worked with construction companies. I don’t have a direct response to that sorry. maybe someone can help by responding to this comment. [Commenting at Erik’s invitation] Every high rise project is unique enough that a generic template would seem pointless or even counter-productive for real work. (Like most experienced schedulers, I haven’t used a generic template for many years, if ever. Even with a database full of my own prior projects, building a plan from scratch is usually the most efficient approach anyway.) People in the business would consider their models to be proprietary; when I searched for high rise templates over at Planning Planet I found lots of requests but not a single logic-driven schedule model to share (using any scheduling tool). Given MSP’s miniscule adoption rate among building constructors, I would expect very few if any such models have ever even been developed in MSP, much less shared.